Get the best of IGN from the comfort of your couch with the official IGN app for Xbox 360. IGN delivers original video content, live streams, reviews and shows like Strategize, IGN Pro League, and the Daily Fix. Queue up reviews, news, previews, and walkthroughs for your favorite games and have them available right at your fingertips. And with Kinect, you can even play, pause, and rewind what you’re watching with your voice or a wave of your hand. Watch thousands of LOVEFILM movies, streamed instantly to your Xbox. LOVEFiLM Subscribers on packages of 6,99€ or above can watch films instantly and get the UK’s largest selection of DVD and Xbox games. And the best bit? All this comes as part of your subscription. That’s right, thousands of films to watch instantly at no extra cost. 1Xbox LIVE Gold subscription and/or additional subscriptions/fees may be required. Kinect functionality available with select Xbox LIVE content and varies by feature and country. For additional details and availability, see http://www.xbox.com/live. Over 40 new apps are heading to Xbox Live in the coming months, as Microsoft continues its multimedia push. Among the apps, which are due to hit between now and Spring 2013, are the micro-transaction-fuelled Karaoke app, Machinima, Napster and GameTrailers. Major Nelson has revealed details and broad release info for each of the apps, including some which are hitting now, on his blog. You can find it all below. With the ARTE app on Xbox LIVE, you can watch an exciting mix of content from the Cultural TV station including documentaries, concerts and movies. CinemaNow is an Authenticated Video on Demand (AVOD) application providing customers with access to TV and Movie content previously purchased on CinemaNow.com. CNET offers all the product reviews, technology shows and event coverage you love, now on Xbox LIVE. CNET helps you use technology to enhance and enrich your life. From specially curated content to advice, it’s everything you need to buy and get the most out of tech that’s right for you. Get the best in technology, right where you want it. Karaoke provides access to more than 8,000 songs from the latest hits to the oldies but goodies, available on Xbox LIVE. Your avatar will go on stage and sing with a full complement of stage props and back band. Use SmartGlass to play/stop/pause, browse the database and lyrics or to add songs to the playlist. Songs don’t require any download and will playback immediately via streaming for a robust karaoke experience. Maxim delivers what guys want – beautiful women, cool gear and funny videos – to Xbox 360! From behind-the-scenes of Maxim’s sexiest photo shoots to hilarious comedy originals to high-octane sports, it’s the #1 destination for couch-bound men looking for a good time. With your Xbox and Napster Unlimited plus Mobile, you can play millions of songs instantly. Listen to millions of songs in various genres, play as much as you want, enjoy hours of expertly programmed music. Discover new releases, charts and much more. SkyDrive is the place to store your files so you can access them from virtually any device. With SkyDrive for Xbox, you can easily view your photos and videos on your TV. You can also play slideshows and view photos and videos shared with you. For more information, visit the Inside SkyDrive blog. Enter the world of sports through your Xbox. The SPORT1 app provides Video-Sport-News, Livescores, Livestreams of popular sport events and access to Pay-TV Sports channel SPORT1+. With over 45,000 videos by 11,000 artists, VEVO is the world’s leading all-premium music video and entertainment platform. Stream live concerts, watch exclusive programming and queue up all your favorite videos. VEVO is available in the United States, Canada and United Kingdom. The VEVO app for Xbox includes high-quality on demand music videos free to the user and allows social interactions between fans, VEVO, and users. The Zattoo app gives you access to free Live TV across 55 channels and an Electronic Program Guide. HiQ accounts feature quick, ad-free channel switches and higher quality streams (including HD), starting at 3.75 EUR per month. Additional premium TV channels, including Sports, Documentary, Kids, Music channels, and International packages are also available. Xbox LIVE Gold subscription and/or additional subscriptions/fees may be required. Kinect functionality available with select Xbox LIVE content and varies by feature and country. Lots of great content there. Not sure if I'll ever us any of it, but great nontheless. You've already won something in 2013 - it's a free Toy Soldiers-themed biplane for your avatar on Xbox Live. We admit, it's a little hard to get to, but if you've got a few minutes to spend browsing around Microsoft's interface (and about 150 MB free on your hard drive), the biplane avatar prop (usually 240 MSP) is yours for the taking. So here's how you do it: The prop is being given away as part of the Chain Reaction deal inside Microsoft's "Sales and Specials" app, which is a free app designed to point you toward games and content on sale. If you don't have this app, you'll have to download it - go to the Games tab on Xbox Live, and then choose "Browse Games." The "Sales and Specials" link is up in the top right corner (it currently features a Madden 2013 graphic), and then you'll just need to click on "Get the Free App" to download the app. It'll update once if you don't have it yet, taking up about 150 MB of hard drive space. Once you have the app, you can simply navigate over to the "Chain Reaction" set of deals, and the first deal in the chain is a free biplane, no strings attached. Sure, it's a little complicated, but the holidays are over, right? Might as well pick up one more present while you can. Be wary of making purchases in the Sales & Specials app. 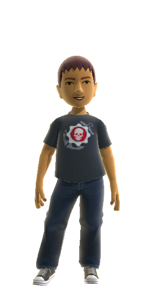 It does not recognize previous purchases on the Xbox LIVE Marketplace, nor does the Marketplace recognize purchases made within the app. It is very easy to accidentally buy something twice if you don't keep a good record of what you own. So before making a purchase within the Sales & Specials app, check the Marketplace to see if you've already bought it. Before making a purchase on the Marketplace, check your Hard Drive to make sure you haven't already bought it on the Sales & Specials app.